Welcome Home! Are you looking for elite luxury? 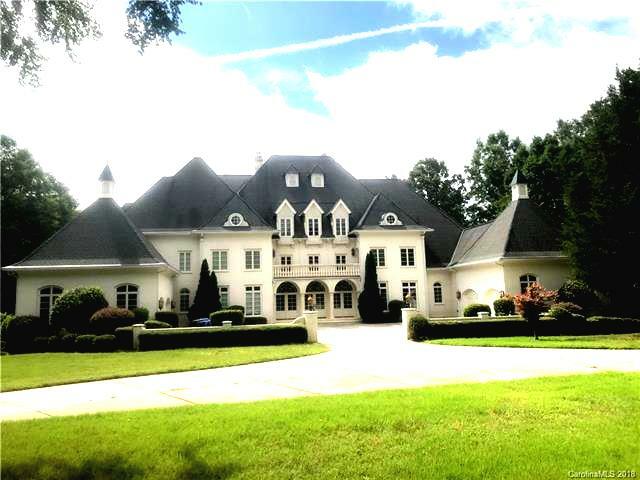 Below you will find information regarding 1916 Iverson Lane, a beautiful Waxhaw Luxury Estate that is currently available for sale and can be yours today! Though this listing is not mine I can’t help but to be passionate about sharing this stunning 11,677 square foot property with you! Located in the Sedgefield community! See details below. Estate home built on 2 waterfront lots totaling almost 8 acres in exclusive gated Sedgefield. No cost spared in the build of this home, but it is in need of updating. Large kitchen with commercial grade appliances. All bedrooms have en-suites and 3rd floor is packed with entertaining space. Deep pool and over-sized hot tub are perfectly placed off main level with easy access to 1700 square foot pool house w bath/bar/media/billiard. Neighborhood offers quiet privacy from the hustle and bustle of Charlotte. Top rated Marvin Ridge Schools! If you are reading this post after the sale of this stunning property but are in the market to purchase your new home I would be happy to help! Connect with Me Today!